Mr. Yang is the President and Chief Operating Officer of San Francisco-based Udemy, a global online learning and teaching marketplace. Mr. Yang is responsible for directing all business-related activities, and scaling Udemy’s operations globally. He also oversees the company’s sales, marketing, business development and business operations functions. Since joining the company, Udemy’s student base and revenues have grown by 400% annually. Mr. Yang has over 15 years of mobile and software solution experience in both consumer and enterprise technology markets. Earlier in his career, he worked as a venture capitalist and spent time as a management consultant with PwC. 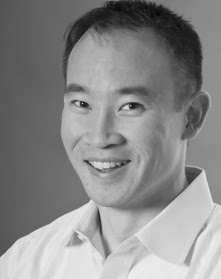 Mr. Yang holds an MBA from the Stanford Graduate School of Business and a Bachelor of Science from Northwestern University. Rahul- In a fast changing and increasingly competitive landscape of online education/MOOCs, how is Udemy defining its market and how is it differentiating? Dennis- The online education landscape is changing at dizzying speeds and traditional learning pathways are transforming drastically as students are turning online to access educational content. Udemy is a global online learning and teaching marketplace that brings together over 1.5 million students and 6,000 instructors from around the world. We provide lifelong learners with a vast collection of over 10,000 skill-based courses for their professional skill development. Students can learn a new skill, brush up on existing skills or further a passion with the courses delivered on our platform. Our marketplace model attracts instructors beyond the traditional walls of academic institutions, who are experts in their field and who are eager to share their expertise online with students from around the world. Udemy’s platform is unique in that it provides any expert or teacher, not just professors from elite institutions; an opportunity to create and deliver a course online to millions of students. Rahul- What are your strategic priorities for next couple of years? What is the potential opportunities and challenges for going international with Udemy? Dennis- An important strategic priority for Udemy will be to expand its already vast content library to include new content categories, and to bolster and update its existing content; including offering more content in different languages. In addition, Udemy will focus on bringing more locally generated and locally relevant content from instructors outside of the U.S. to the Udemy platform. We will also continue to focus on product innovation, in particular, on how student learning pathways, and new platforms for consuming educational content (e.g. mobile, TV) are evolving. Another strategic priority will be our international expansion and ensuring that our platform is customized to meet the needs of both our students and teachers around the world. We strongly believe that students will be more motivated and inspired to learn from instructors that speak their native language, maintain the same cultural cues, and teach the skills that are endemic to their region. Lastly, we firmly believe in building a sustainable ecosystem that allows instructors to digitize and monetize their expertise without having to rely on ongoing external funding or advertising. Rahul- How do you expect the future MOOCs changing in next couple of years? What will be the impacts of MOOCs on traditional online education providers like University of Phoenix? Dennis- One of the most pronounced changes I expect to see in the not so distant future will be a change in focus and development related to sustainable business models. Some type of viable revenue model will need to be created so that these organizations can fulfill their mission and vision. In addition, traditional online education providers will need to update, refine and customize their platforms to engage and reach students around the world. These providers will need to move beyond their web presence to include mobile applications with rich media, broken into bite-size chunks or revert to simple, easy to use interfaces for consuming content. Continuing to innovate will be paramount as academic institutions are increasingly competing for student’ attention against a myriad of media options, including social media. Lastly, traditional education providers will need to keep their education curricula up-to-date, and relevant to meet the ever-changing demands of the market and workplace. While some training for workers will undoubtedly reside within companies, a large portion of it will need to be supplied by traditional online education providers.